I’d like to apologize in advance for this week’s column. While it has not yet been rated by the American Internet Content Classification Association of America, there is an excellent chance that it will offend small children, Mayors Against Legal Governing (oops, I meant Mayors Against Illegal Guns), and possibly Mr. Rogers. Next time you attend a Hollywood awards show and dress like a star, you might as well use a holster named after one – like the Looper Marilyn Holster. 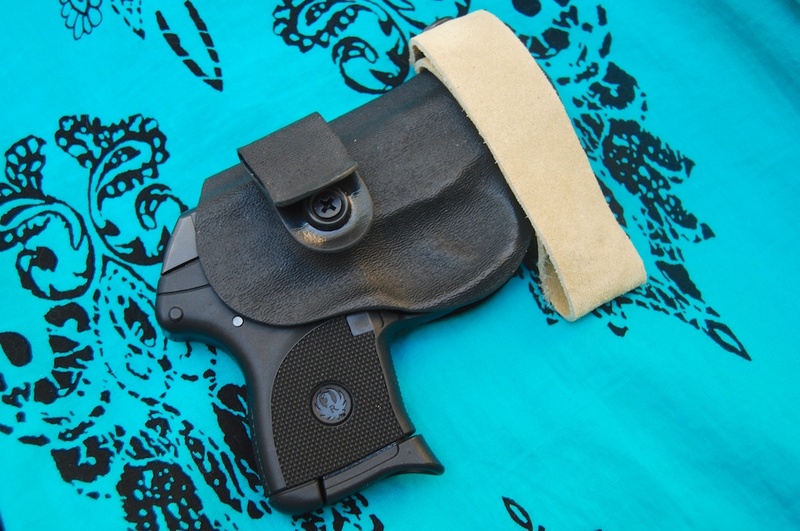 With that said, let’s take a look at some less conventional, concealment holster options. We’re not going to get into the pros and cons of deep concealment versus more accessible hip-carry methods. For the purposes of this discussion, we’ll assume that users have a concealment need that discourages use of belt holsters. I love these. And not only because the tight spandex makes me look more buff than I really am. When deep concealment matters, and you have to wear tucked-in shirts and behave civilly, the undershirt carry method can be a a great option. Unlike tuckable holsters, you won’t see belt clips or unsightly bulges at your waistline. Make no mistake, as with most of the methods covered here, speed and ease of access may not match that of a belt holster. Undershirt holsters feature pouches or elastic “holsters” located on the side of your chest, under your arm. This placement provides outstanding concealment as your arm hangs down over the gun. Access is a skill that requires planning and practice. To draw your gun, you’ll need to deal with your shirt first. If you’re wearing a button-down, you’ll need to open (or tear open) buttons to quickly get to the undershirt holster. Ripping buttons off is harder than you think, so many folks fabricate “fake” buttons with Velcro tabs holding the shirt closed. After years of using these, I’ve found two that I really like. 5.11 Tactical’s Holster shirt features soft, but reinforced fabric holster pockets on both sides. As the pouch is designed to completely contain your gun, it works best with small to medium-sized handguns. I carried a Walther PPK and Glock 32 for years with this shirt. 5.11 also makes a sleeveless version cut specifically for ladies.